In 1949 the British Transport Commission established a films section to to enable it to use film as a tool for internal training and external promotion. From the very start, however, eyebrows were raised and objections even came from parliament. Yet within six years over sixty films had been completed, including many classics such as Elizabethan Express (d. Tony Thompson, 1954), Farmer Moving South (d. Charles de Lautour, 1952) and Snowdrift at Bleath Gill (d. Kenneth Fairbairn, 1955). Those who had initially objected fell silent under the torrent of praise and approval. The Commission had found itself the perfect Producer in Charge in the shape of Edgar Anstey - a disciple of John Grierson at the Empire Marketing Board - and the perfect mode to communicate with its staff and the general public. Anstey created a legacy for the generations of documentary film and transport enthusiasts to come. But British Transport Films suffered a slow death in the eventual transition to video production. After the disappearance of support features and documentaries in British cinemas, BTF continued in a less glamorous way, producing internal staff information and training films and the occasional advert for television. 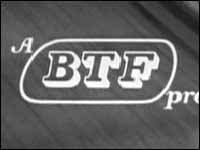 In 1985 a video unit continued under a new name with new directives and BTF was no more. However, British Transport Films ' productions are not merely captivating pieces of nostalgia, but acclaimed examples of filmmaking. The accolades bestowed upon them include an American Academy Award, several British Film Academy Awards and the Golden Lion from Venice. Anstey strived for technical excellence and sought only the very best of up and coming talent, nurturing it alongside the most acclaimed creative talents of the day, including such notables as Sir John Betjeman , Michael Redgrave , Arnold Bax and Ralph Vaughan Williams . A glance down the films' credits reveals names like John Schlesinger , Robert Paynter , David Watkin and Billy Williams , all of whom went on to work on award-winning British and American feature films. There is an undeniable charm to the films; indeed, pick any title and it is immediately evident that the people who worked on it and appear in it had a real belief in and affection for the work they were doing. Occasionally a glimmer of old fashioned English 'quirkiness' appears, but this only serves to enhance their enduring appeal. *The BFI has released numerous compilations of British Transport Films on DVD and VHS.